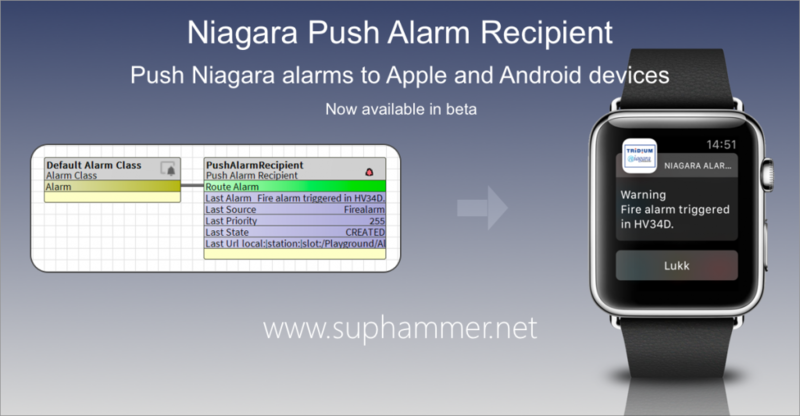 Push alarms for Niagara is able to send alarms that popup directly on your Apple and Android. The software is currently available for Niagara 4.3 and higher. Now available in beta. Sign up now!